What is a florilegium ? Illustrations from Hortus Eystettensis by Basilius Besler (1613). The short answer is that a florilegium is a book of flowers. ETYMOLOGY. The word “florilegium” (plural, "florilegia") comes from the New Latin word florilegium, which means "gathering flowers:: flor, flowers + legere, to gather. The origin of this New Latin word was the Greek word anthologia, anthology, flower-gathering. The phonetic pronunciation is flor-uh-lee-jee-um. EARLIEST HISTORY. The books cited as most likely establishing the definition of “florilegium” as a book of flowers are Florilegium and Florilegium Novum. Florilegium was the title of a small book published in Antwerp, Northern Belgium, around 1590 by the engraver Adrian Collaert. The entire content of the book consisted of small engraved	flower pictures. The term was again used in the title of a comprehensive botanical work, Florilegium Novum, by Theodore de Bry, a printer and publisher in Frankfurt, Germany. Theodore de Bry died in 1598 before publication of Florilegium Novum. Responding to a growing demand for botanical texts, his son, Johann Theodore de Bry, first issued Florilegium Novum between 1612 and 1618. FLOWER GARDENS & FLOWER BOOKS. 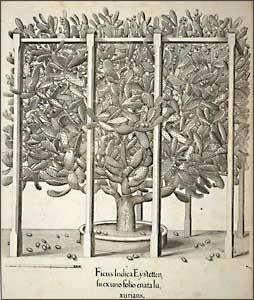 The publication of florilegia in the 1600s began in response to a number of factors. During the European aesthetic revolution of the 1600s, plants in general and their fruits and flowers in particular came to be appreciated for their beauty and visual appeal. Prior to this time, plants were valued primarily for their medicinal, culinary, and household uses. This newly developing aesthetic appreciation coincided with European empires expanding and establishing trade routes throughout the world, making it possible for royal and wealthy patrons to import exotic species of plants, flowers, and fruits. All these imported beautiful and exotic plants led to development of a new concept in gardening—the “flower garden.” Instead of growing a garden of herbal and medicinal plants for practical use, the flower garden was planted solely to display plants for their aesthetic value. The garden gave pleasure and enjoyment as well as status to the patron. Florilegia, or “flower books,” were initially books of the cultivated plants in these flower gardens. 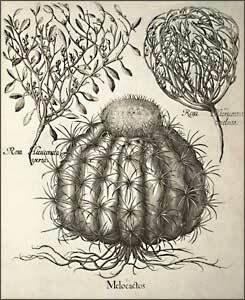 These florilegia were “beautiful books,” usually having as the only text the name of the plant. MODERN FLORILEGIA. Today, florilegia are compiled as visual records of a living collection of plants, such as the plants in a particular botanical garden or region, or perhaps a group of endangered plants. Florilegia can be compiled and published as a book, or they can exist as a curated collection of botanical art. A contemporary example of a published florilegium is the Highgrove Florilegium, a two-volume collection of botanical illustrations of the plants in the gardens of HRH Charles, Prince of Wales, at Highgrove House in Gloucestershire, England. Filoli Gardens in California is creating a collection of illustrations of plants in their collection; this is a curated collection that can be viewed only at the Gardens. The Sonoran Desert Florilegium is a collection of illustrations of plants native to the Sonoran Desert Region that can be exhibited in galleries and online and also published as a traditional florilegium. Blunt, Wilfrid and William T. Stearn. The Art of Botanical Illustration. Woodbridge, Suffolk: Antique Collectors’ Club Ltd., 1994. Coats, Alice M. . The Book of Flowers: Four Centuries of Flower Illustration. New York: Exeter Books, 1973. Evans, Anne-Marie and Donn Evans. An Approach to Botanical Painting. Oakham, England: Hannaford and Evans, 1993.